Also Known as "Spend $4 to Save $40"
“Value engineering” is to construction what “innovation” is to politicians or “collaboration” is to academia – words designed to excite and energise people, but we tend to be slightly uncertain about what they really mean. Civil engineers add value through smart design, efficient and safe construction methods or leveraging new materials or technologies. Whatever the scale or complexity, there is always room for engineers to add value. Over the past thirty years geosynthetics have emerged as a “value engineering” solution for civil engineers, being a new construction material that allowed engineers to design and build their engineering infrastructure faster and safer, at reduced costs, with lower risk, and with lower environmental impact. Today geosynthetics are accepted as a standard engineering solution, with many products offered by many suppliers, each claiming similar engineering outcomes. Amongst this noise, there remain unlimited opportunities for value engineering with geosynthetics if one wishes to spend time looking at the subtlety of the project to find the savings and value. The crudest – but most common method is to “add value” through reduced product supply cost, but this ignores the greater benefits that flow from understanding the many sources of value that a geosynthetic product offers when used as part of the engineered system. A new rail formation being built over 10 m of uncontrolled fill required the top 2 m be removed followed by 2 m of deep compaction. Two layers of 200kN ultimate tensile strength high-strength geotextile was then installed (at 300 mm centers) with a 1,700 mm engineered fill rail capping layer on top. The high-strength geotextile was included to control differential settlements along the rail line. Providing project specific roll lengths reduces the waste during installation. 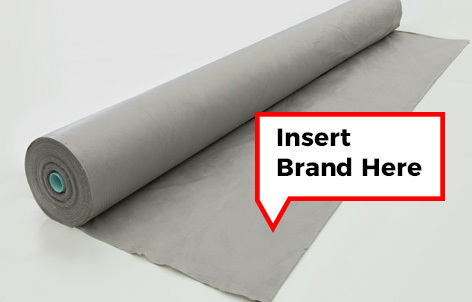 The value engineering by using geosynthetics could have been enhanced further by understanding the subtlety of how a product can be used as part of a system. For more information on the use of Geosynthetics in Rail we recommend that you review our Track Design Guide which offers a range of solutions for typical rail engineering scenarios. A road being built with traditional practices will require a thick formation, built with engineered fill. By placing a bi-axial extruded HDPE geogrid at the base of the road formation, the engineer can reduce the thickness of the aggregate and achieve savings – simply by utilizing the reinforcement performance of the geogrid. However, by using stabilization performance of a tri-axial extruded geogrid, the engineer could reduce the aggregate thickness even further to achieve the same performance. Where aggregate costs are high, quarries are some distance away, the savings from reduced use of aggregate is a major source of savings. Further, where the engineer wants to make full use of the aggregates used, it is best to use a separation geotextile as well. This also reduces future maintenance costs. 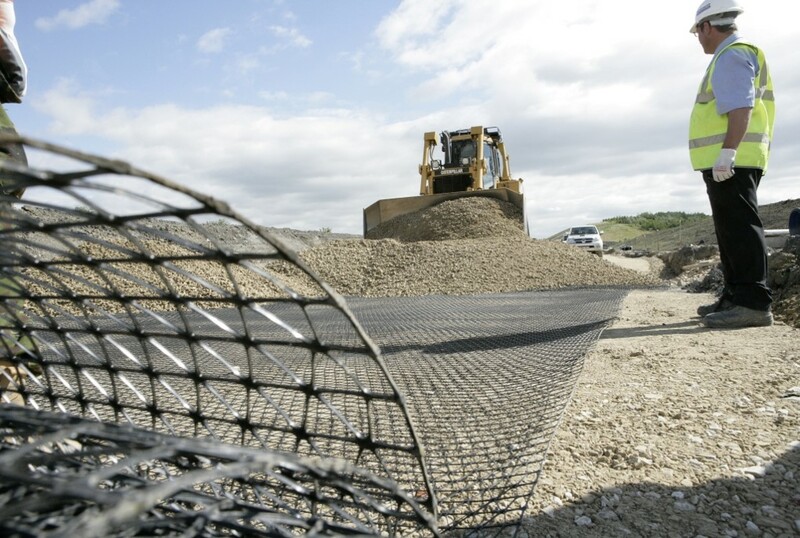 Attaching the separation geotextile to the geogrid allows contractors to adopt a single installation process, enhancing their on-site productivity. Again, by understanding how different products perform, the engineer can add greater value for their project. There are unlimited opportunities for engineers to "value engineer” using geosynthetics – stepping back slightly and looking at the system is a great way to identify them.